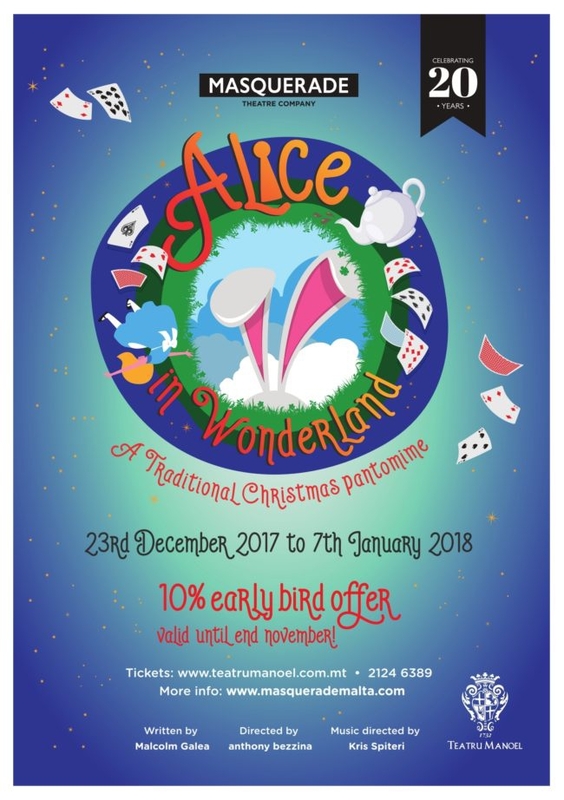 Masquerade are back at Teatru Manoel with the all-time favourite pantomime Alice in Wonderland. This year we will be following Alice’s crazy adventures in Wonderland as we embark on a journey that once again promises to be as much fun for the audience as it is for the cast. The show will be directed by anthony bezzina and written by Malcolm Galea who will once again be playing Dame. Booking opens in October.